Blending vintage typography with modern style for wedding and event signage, business menus and murals. A digital typographic print printed on Arturo Soft White cardstock. 8"x10"
All proceeds from the sale of this product will be donated to the Terry Demming Memorial Fund. Terry Demming was a seven-year-old Montclair resident. In the aftermath of his tragic passing, this amazing town came together in a tremendous way to support his family and friends through unthinkable pain. The words of this print are inspired by Jess Larsen Jukelevics, a grief massage therapist and owner of Held Massage Therapy to whom "this" is "a web of caring support at the ready for the times that we all go through our own personal hell". Stella and Jess were brought together fortuitously through the Podclair Podcast when their Episodes (one and two, respectively) ran in the midst of the recovery. We create custom ceremony programs, buffet and cocktail menus, seating assignments, and other big-day signage that informs and delights your guests while bringing an element of vintage, rustic elegance to your event. Custom chalkboard menus and murals keep your business looking fresh while designs, menu items, and prices can be changed often. Dynamic designs catch clients' attention and create an attractive, decorative piece in your workplace. Have an idea for a gift or a piece for your home? Maybe you'd like to have an unusual chalkboard made? 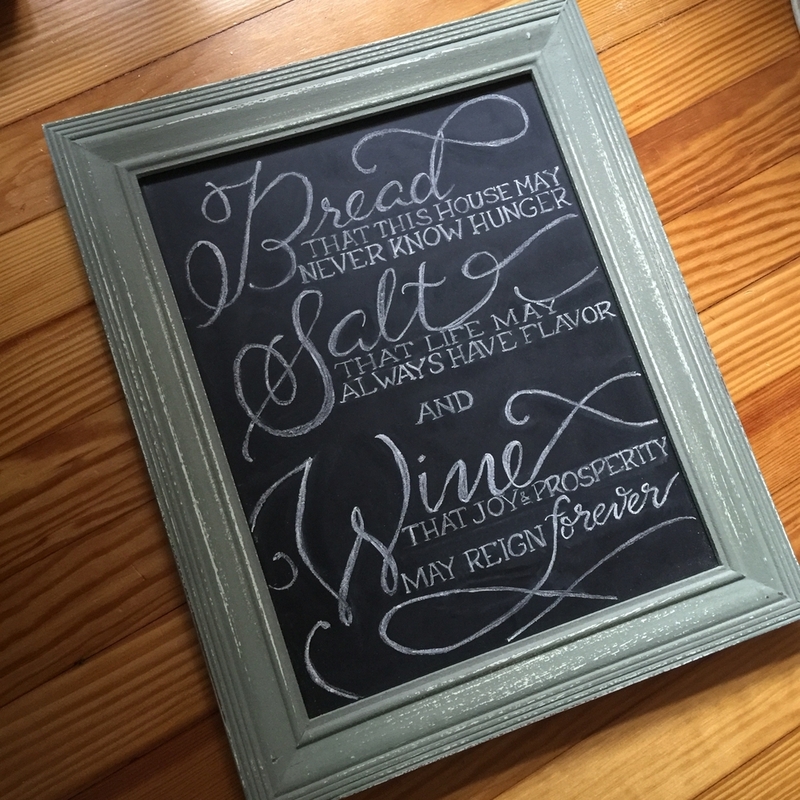 We love getting creative and even work in mediums beyond chalk to create lettered pieces that are truly custom. Let's talk!